I was too impatient to finish it so I cheated a bit and took it off the heat too early. This was the only real mistake, and it turned out fine anyway. 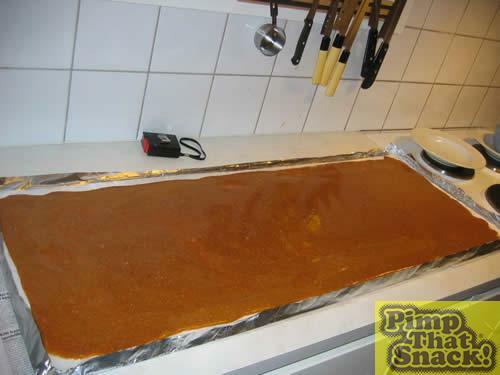 Pour the hot toffee onto the 100 x 40 cm hopefully non-stick surface (mine wasn't, I had to work quite a bit to get the greased paper off) and let cool. 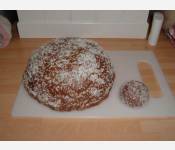 This probably takes over night, since you're unlikely to fit that into a freezer. 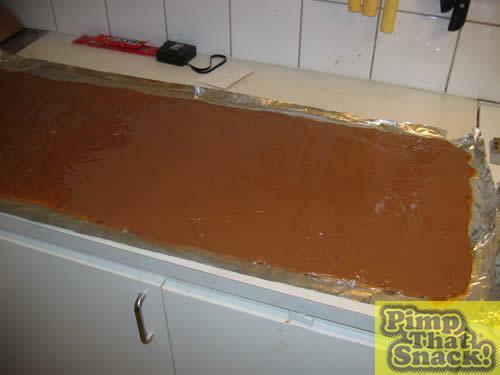 After you have freed the toffee from what it probably stuck to while setting, melt 800g chocolate and spread thinly over what will be the bottom surface. Let set over night, again. 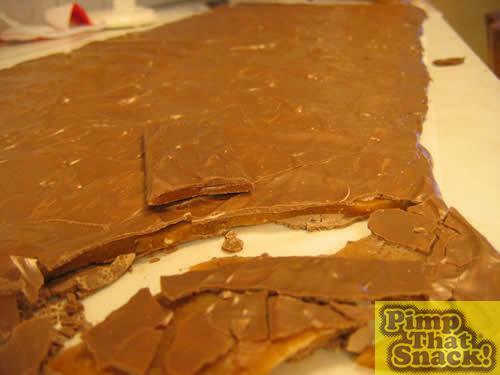 For "bonus" points, read PimpThatSnack.com and realise that you're not the first one to pimp a daim anymore. 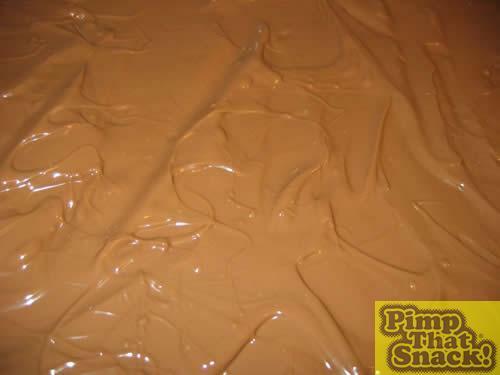 Carefully flip the daim over and then melt the rest of the chocolate. 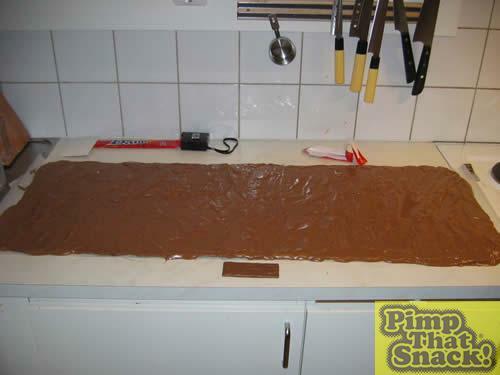 Spread this a bit thicker over the top surface, try to get a wavy pattern to make it look just like those daim bars you buy. 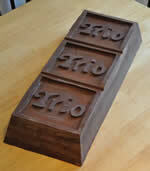 The measurements are 101 cm long and 36 wide, not too far from the goal of ten times bigger in each direction. The normal daim bars are 10 x 4 cm. So, how does it taste? Close, but not quite identical. The almond taste is a bit more distinct as compared to the real thing. The real daims also havea bit more buttery taste to them and, as I said earlier, they are more crunchy since I stopped boiling the toffee too soon. Very tasty, but try to keep fromeating too much at once.